Title : this controls the title of the section. Subtitle : the subtitle of the section. Description : the main description of this section. 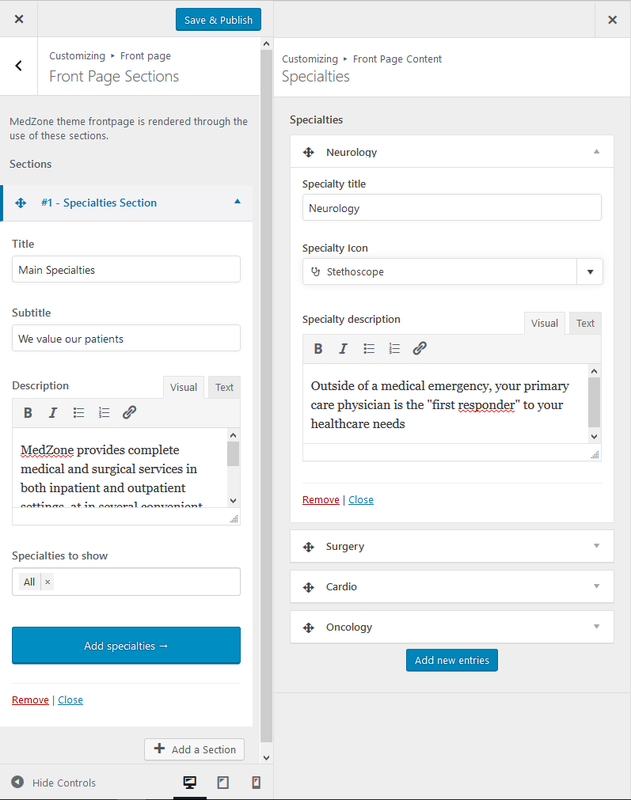 Add specialities : this allows you to add the specialities of your practice. Specialities to show : multi-select field that allows you to choose which specialities to show from your available list.